This is the weirdest thing I ever met, and this is ruining my weekend schedule. On Friday afternoon I just burned a DVD contains Backupexec program version 14. I download this from Symantec website as we have the license for this software. Backup Exec is the best backup and restores software that we already use for years. I plan to upgrade our Backupexec program version 12.5 to version 14 remotely. This program is running on Windows server 2008 on a media server HP DL360 G5. I Insert the DVD and locked the room and went home. At home I tried to remote access the server but I could not, after checking I found that I also cannot ping the server. This is make me wondered what happen with the server, because everything was OK when I left office this afternoon. The next day in the morning situation still the same I still cannot ping our media server via VPN but I can ping and remote access other servers on the same rack or servers on the different room. That day is Saturday and I have to check the server in the factory which automatically ruined my weekend plan. When I checked the server I cannot toggle on and off numeric lock key of the server’s keyboard, I can not even move the mouse. I have to push the power button for a while to shut down the server abruptly. I restarted the server and choose safe mode, everything is working fine. I restart the server again and choose start normally and this was also working fine. I still did not realize that the server freeze because I inserted the DVD drive. I re-insert the DVD disk and hangs straight away. Now I realized that the problem is with DVD, when I insert DVD the server was hangs, but why? If someone have bad intention just insert DVD and it will stop the server. This is so ridiculous. In my case, because I just burned the image on the brand new CD disk, so we can eliminate option no 1, DVD disk scratch. Our problem is because my DVD drive has been more than 4 years and the server was almost always on. We can replace the DVD drive or we can use USB disk to replace DVD drive function. Since then we never getting the same error again because we always use USB disk to install new program. 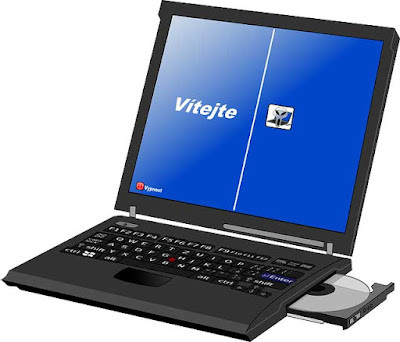 So if you have problem computer freeze after inserting DVD in drive, just replace the DVD drive or use USB disk. I hope this simple post will help you out.